What in the World Is Hamantaschen? Explanation: It was one of the quietest nights of aurora in weeks. 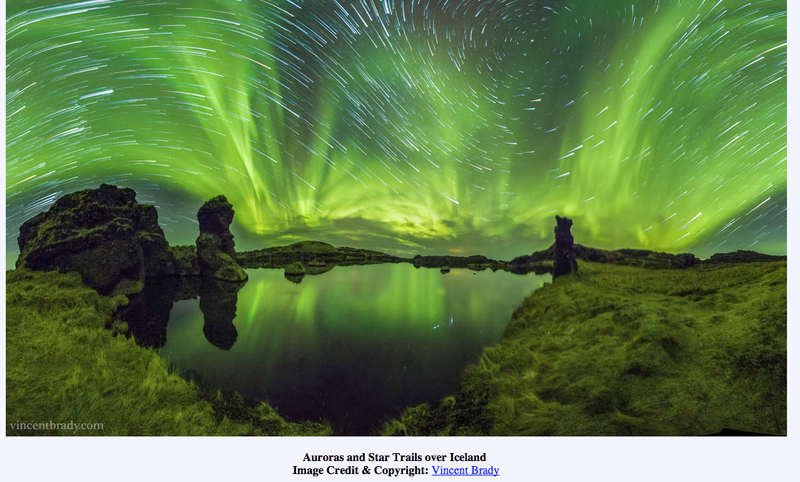 Even so, in northern- Iceland during last November, faint auroras lit up the sky every clear night. The featured 360-degree panorama is the digital fusion of four wide-angle cameras each simultaneously taking 101 shots over 42 minutes. In the foreground is serene Lake Myvatn dotted with picturesque rock formations left over from ancient lava flows. Low green auroras sweep across the sky above showing impressive complexity near the horizon. Stars far in the distance appear to show unusual trails — as the Earth turned — because early exposures were artificially faded. This photo was found on the apod.nasa.gov. If you are interested in some really cool astronomy photos, it is a great site to follow. Did the Vikings Bring Native Americans Back to Iceland? "Aldar and the Golem of Prague"
"How Michael Saves the Bosites and Everybody Else"